We have a comprehensive selection of Vax Vacuum Cleaner spare and parts. Choose a part type like Bags, Belts, Bins and Brushes and Brushrolls or from popular Vax Vacuum Cleaner models including Vax 101, Vax 1050, Vax 1100, Vax 111 and Vax 1200. 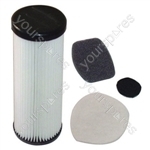 Genuine replacement Vax Vacuum Cleaner Pre-Motor filter It is recommended that your filter is changed regularly to maintain your vacuum cleaners optimum perfomance. Great product at very reasonable price. Two filters for a great price, beating all the others I looked at. 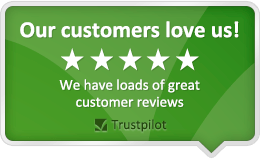 Easy ordering service and a bonus of free delivery! The items came well before the estimated arrival date and I was updated on package progress from point of order. Very impressed and will definitely use again. Thanks.